Does Your Small Group Have the Igor Syndrome? Larry Baxter, Small Groups Coordinator at Calvary Baptist Church, West Lafayette, Indiana, blogged recently about my newest book, Small Group Vital Signs and also posted the video of the session I led at Cincinnati Christian University last year. 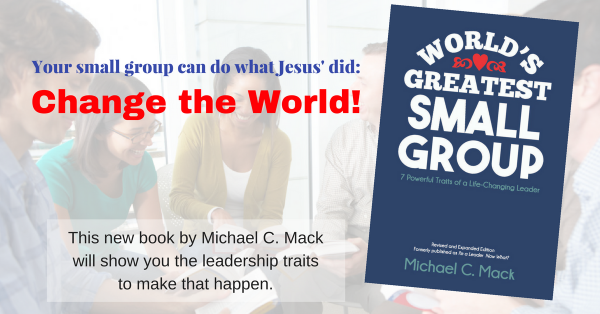 Step Up to the Call: Seven Vital Signs of a Healthy Small Group I really appreciate the kind words!